Vision Test in Pembroke Pines | Visionary Eyecare's Blog: "The Eye Journal"
First time patient, Tracy, came into our Pembroke Pines office (next to Lenscrafters) yesterday. She was very upset…telling us that she woke up and her vision was fine but, then the vision in her right eye got suddenly VERY blurry….and she could barely see anything !! This happened right after she put in her colored contact lenses. She almost went to the emergency room but, just at that very moment she happened to look down at the newespaper in front of her…… and saw an advertisement for Lenscrafters UNBEATABLE EVENT that is going on right now. Right then she decided to come in to our office (the Indepependent Doctor of Optometry next to Lenscrafters) to see an Eye Doctor instead of going to the ER. Ralph, the optometric technician, had Tracy take out her colored contact lenses and then did all of the pre-testing on her. He was concerned because the vision in Tracy’s right eye was EXTREMELY blurry. Dr Bearden also became very concerned after she spoke with Ralph about Tracy (before she went in to see Tracy). 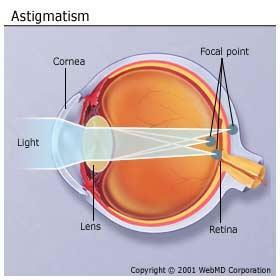 Sudden vision loss and/or blur is often associated with VERY serious visual health problems – like retinal detachment, angle closure glaucoma or other neurological eye problems. After Dr Bearden saw Tracy – something did not seem quite right. Tracy was not displaying any symptoms or vision loss associated with a retinal detachment or any other SERIOUS eye problem – she was just VERY blurry in her right eye – for seemingly no reason. Dr Bearden looked at Tracy’s right eye under magnification with the slit lamp….and saw….a clear contact lens on Tracy’s right eye!?!?! This was after Tracy had already “taken out” her colored contacts…. Dr Bearden told Tracy “There is a clear contact lens on your right eye”…..Tracy did NOT wear CLEAR contacts – she wore COLORED contacts. So this was VERY strange. Where on EARTH did a clear contact lens come from?!?!?! Suddenly Tracy exclaimed “Oh my GOD….that must be my HUSBAND’s contact lens!!! He must have put it in my case with my colored contacts by accident!!”. Her husband’s clear contact lens must have been stuck to Tracy’s colored contact lens when she put in her contacts that morning – and then remained on her eye when she took out her colored contacts in our office. Tracy had unknowingly been wearing her husband’s contact lens in her right eye – with her own colored contact lens on top of it!! Tracy’s husbands contact lens presription is about 5x STRONGER than Tracy’s – so this was the cause of her mysterious sudden vision blur. Mystery solved! Dr Bearden and Tracy were both laughing at the incident and they were also both relieved that this was not a serious vision problem…. 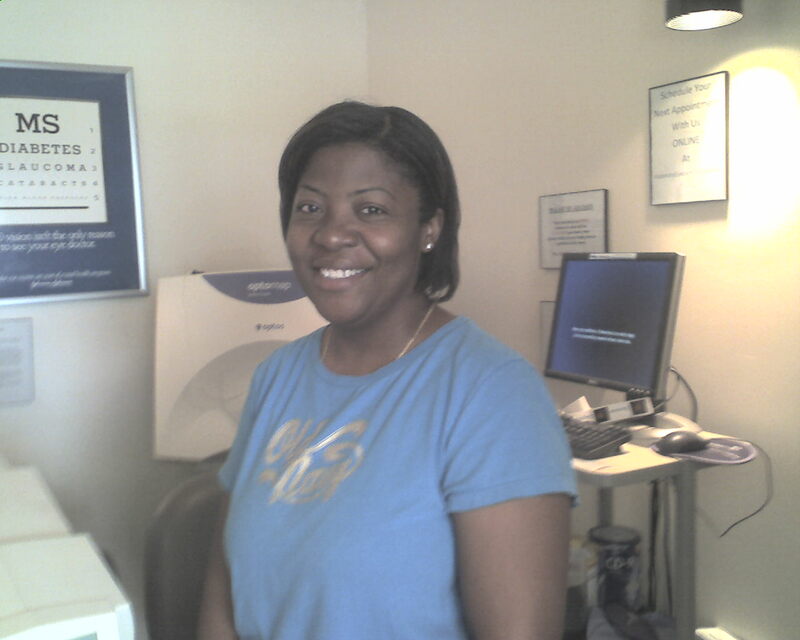 Tracy was due for her annual contact lens eye examination anyway, so she just had her routine contact lens eye exam while she was in our office and her trip was not wasted!! This is a funny story but, Tracy did the RIGHT thing – she came in to see an Eye Doctor when her vision became suddenly blurry. Anytime there is a SUDDEN loss of vision or SUDDEN vision blur – always seek care IMMEDIATELY from your eye doctor! !